The two concepts are built from lightweight materials and use an electric powertrain to get going. The battery pack has been designed in such a way as to allow to be removed and carried inside, to be plugged into any standard household power outlet. 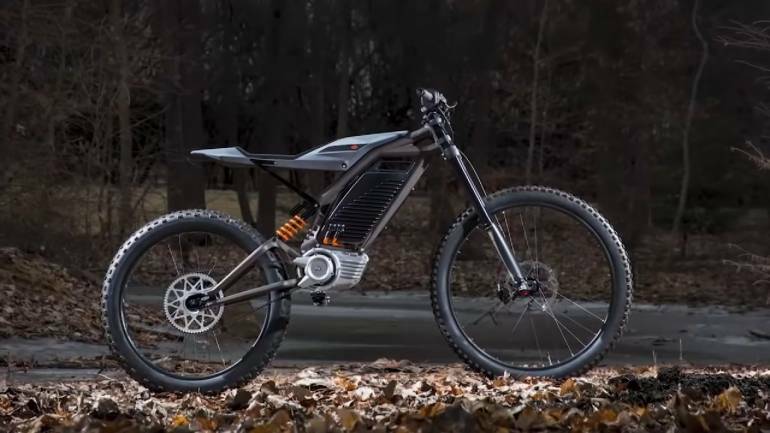 The first looks like of a cross between a motocross bike and a mountain bike. It does not feature peddles and relies solely on electricity to power the rear wheel. The second is an electric scooter concept that looks to target urban mobility. Australian FMX rider and X Games Gold Medalist Jacko Strong thrashes Harley-Davidson’s lightweight electric concept during X Games Aspen 2019. Jacko is an innovator, fan favorite, hard-charging 2018 Snow Bike Best Trick silver medalist instrumental in bringing the discipline to X Games. The 4-time X Games Best Trick gold medalist made his debut at X at the age of 18 and owns a well-earned reputation as a wild man. Harley-Davidson, showcased its next generation of two-wheeled transportation at the Consumer Electronics Show in Las Vegas, unveiling the full product specification, connectivity and pricing for the first time. LiveWire, Harley-Davidson’s first electric motorcycle, will be available for delivery later this year in selected markets. Harley-Davidson is officially entering the electric motorcycle segment with the market launch of the LiveWire scheduled for later this year. The Livewire is expected to reach Australia and New Zealand in late 2020.